Every day is a play day in our home. Gathering from my experience as an Early Childhood educator, homeschooling a preschooler is simply what I live for each day. Experience, explore, and educate through play as a foundation for advanced academic achievements. Learning through play is a key factor in education. 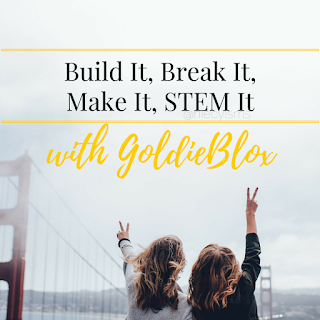 Get hands-on with your kids (or watch what they come up with) as they build it, break it, make it and STEM it with GoldieBlox construction toy sets. 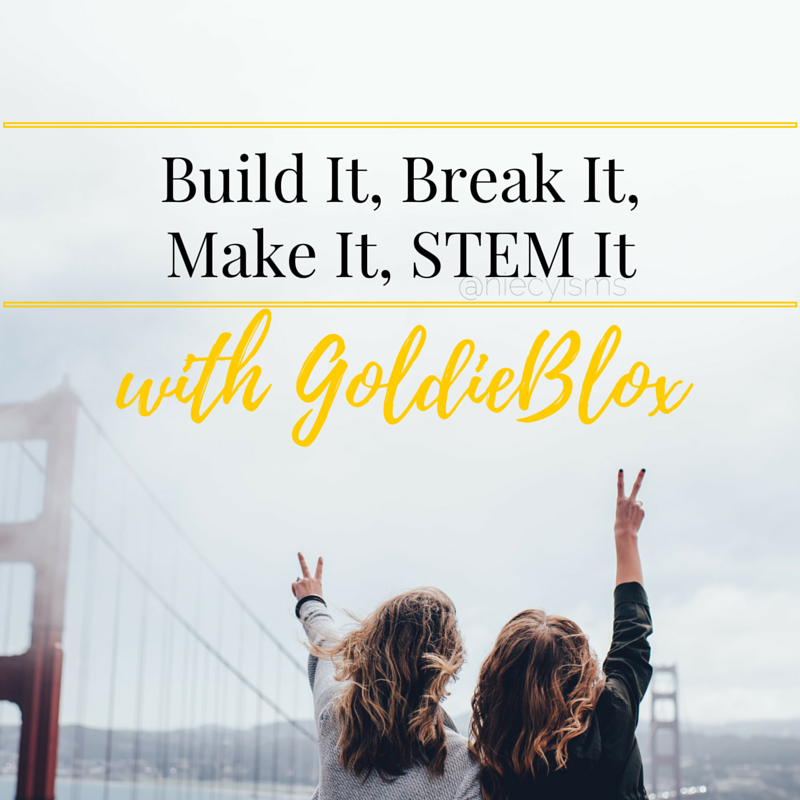 Thank you to the team from GoldieBlox for sponsoring this post with promotional GoldieBlox product for the purpose of facilitating this advertorial. Play creates the blueprint for developing the reading, writing, and mathematical concepts essential for basic early educational achievements. Nurturing self-esteem and character development are life skills that kids can best conquer through structured and open-ended play. Open-ended play during the summer, on weekends, or just about anytime is especially fun with GoldieBlox, the innovative construction toy and media company that is "disrupting the pink aisle." I can remember my excitement when the very first spunky, sassy GoldieBlox launch video debuted. C'mon girls! Let's get out there and make it happen! Clear off some work space, power off those electronics and have some fun playing off-line. 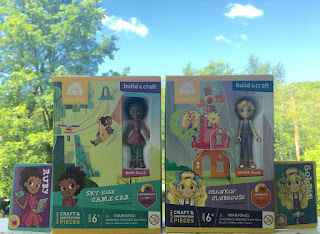 GoldieBlox has created a line of interactive construction toys to enable kids to have fun engineering their own creative STEM learning projects that will never be left for display, these toys are made for play. Play and education should go hand-in-hand with toys that are both fun and educational. GoldieBlox construstion toy kits the opportunity to create, recreate, and expand upon a variety of open-ended stories stimulating thought-provoking play. "At GoldieBlox, our goal is to get girls building. We’re here to help level the playing field in every sense of the phrase. By tapping into girls' strong verbal skills, our story + construction set bolsters confidence in spatial skills while giving young inventors the tools they need to build and create amazing things. In a world where men largely outnumber women in science, technology, engineering and math, girls lose interest in these subjects as early as age 8. Construction toys develop an early interest in these subjects, but for over a hundred years, they've been considered "boys' toys.” GoldieBlox is determined to change the equation. We aim to disrupt the pink aisle and inspire the future generation of female engineers." "We believe there are a million girls out there who are engineers. They just might not know it yet. We think GoldieBlox can show them the way."